You can learn how to enable integrations here. 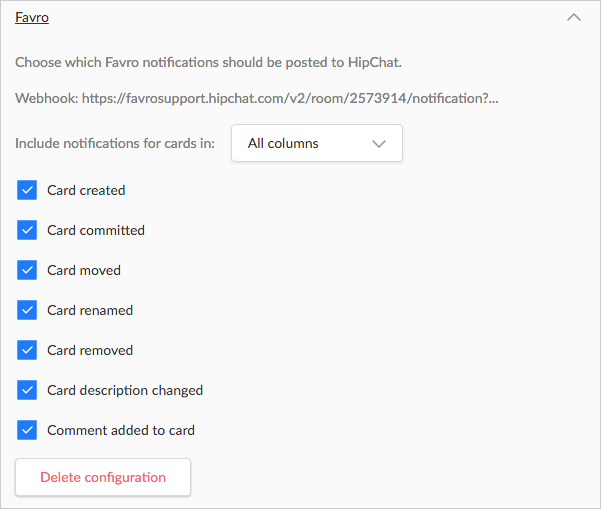 In order to allow Favro to post notifications to HipChat, you need to configure a new integration in HipChat. Choose Build your own, a specific room and give the integration a name. On the next screen, you should copy from the Send messages to this room by posting to this URL box. 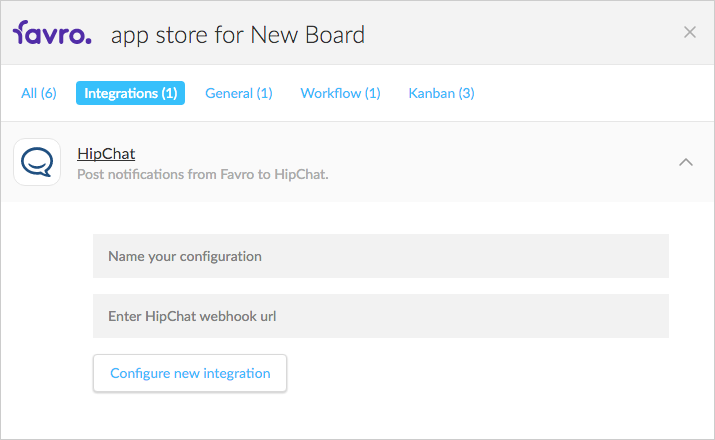 Once in Favro, you should paste the URL into the HipChat integration in the App Store on a board or backlog. You should also give the integration a name that means something to your organization. After clicking Configure new integration, Favro will begin to post notifications into HipChat. It is also possible to choose which notifications are posted to HipChat. You can limit notifications to one column on a board or specific events.